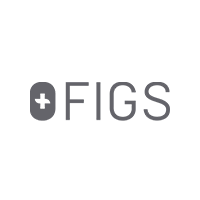 FIGS is revolutionizing the antiquated $10 billion medical apparel industry through its use of ridiculously soft and technical fabrics that are tailored to perfection. FIGS medical apparel is anti-microbial, wrinkle resistant, stain repellent, lint free and utilizes four way stretch. Through its customer-centric, vertically integrated e-commerce platform, FIGS has transformed the way medical professionals shop. Through its threads for threads initiative, for every set of scrubs sold, FIGS gives a set to a healthcare provider in need.